Doesn’t look like Ape has crime-solving on his mind there. 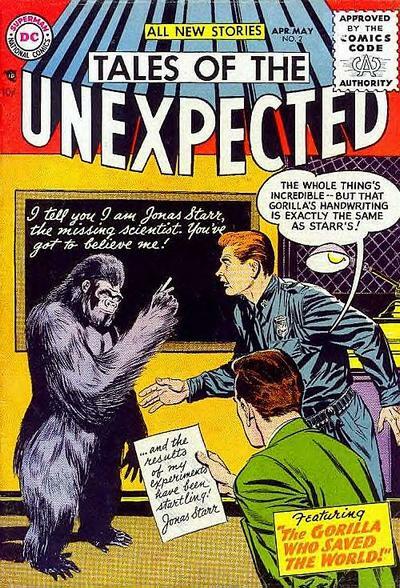 Watch the experiment have been to teach the gorilla to write in the scientist’s handwriting. Which he then used to fake these guys out. I’m actually curious to see what the explanation was for this one. 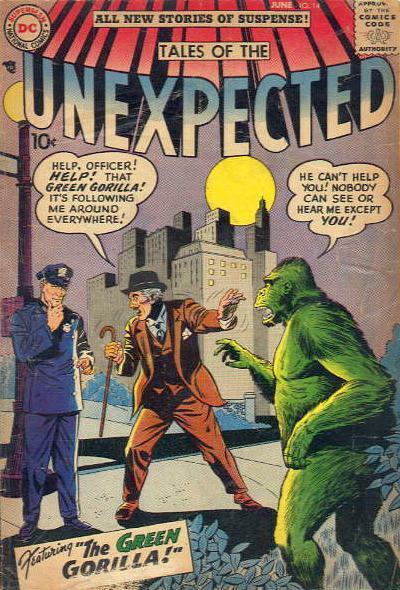 I’m guessing it’s either an invisible robot green gorilla, or some kind of magical leprechaun gorilla. 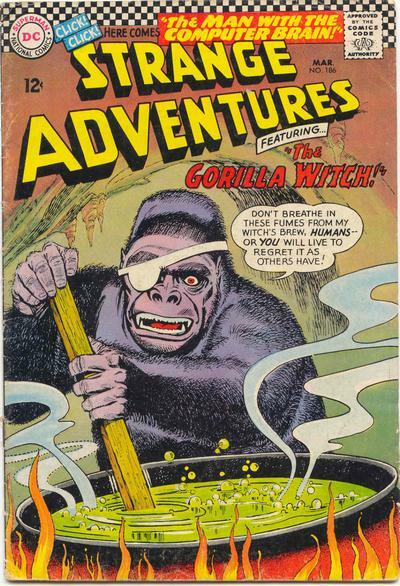 Gorillas are cool. Pirates are cool. Hell, sometimes even witches are cool. Putting them all together… Not so much. 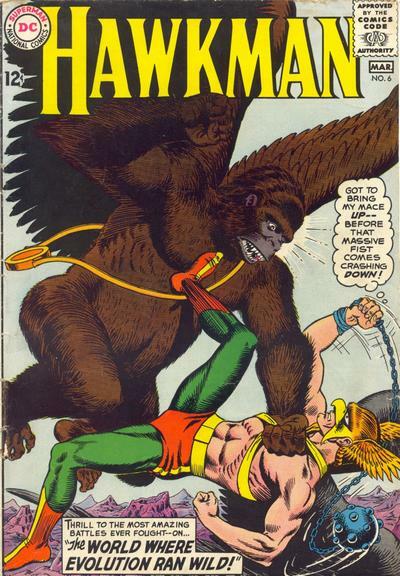 Hawkman in the Land of Oz.